An alcoholic drink served before a meal to stimulate the appetite. You should definitely make a habit of starting your meal with the house apéritif while dining in France, this will open your eyes and your taste buds to some very creative mixtures and good conversation with the host. When you visit Chez Grenouille, my restaurant in Paris, be prepared to enjoy a leisurely sensational dining experience. If you are in a hurry please try another restaurant and don't forget to make a reservation. 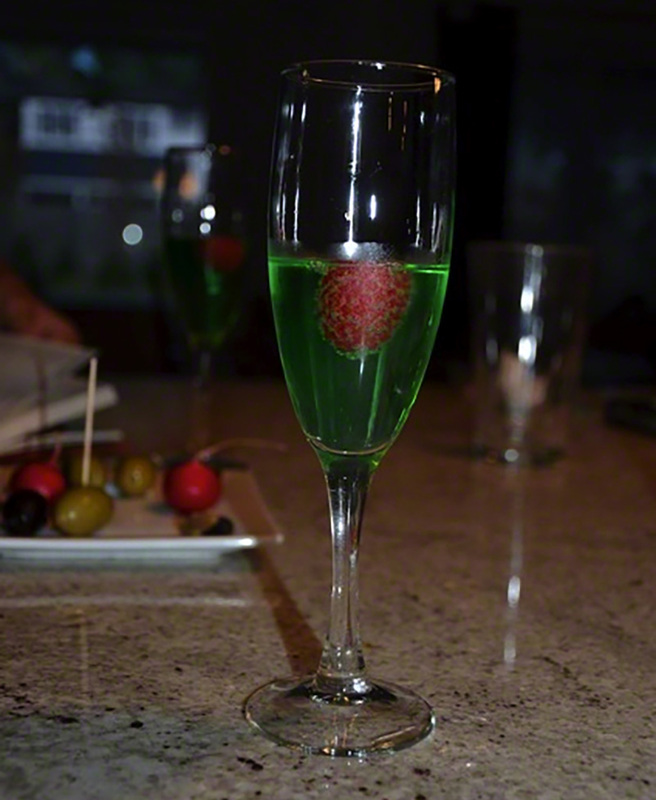 I highly recommend you start the evening with our house apéritif, The Red Eye Tree Frog. C'est magnifique! It is well received year round, but as you can see it is visually appropriate for the Christmas holidays. And with the holidays underway as we speak, I would like to share my recipe with you.